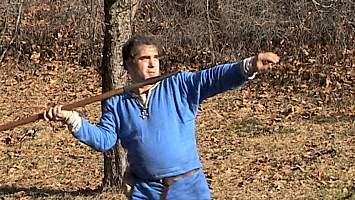 Explore the fighting moves that made Viking warriors feared and admired throughout Europe in the early medieval period. 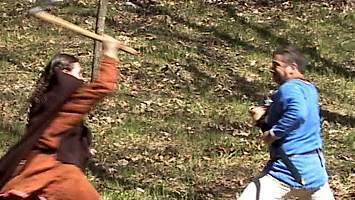 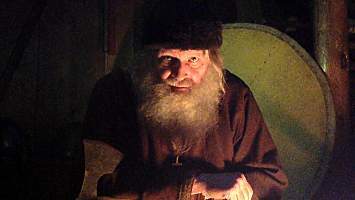 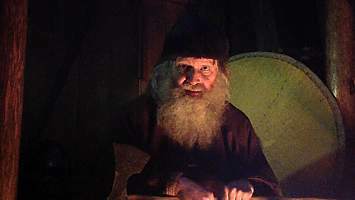 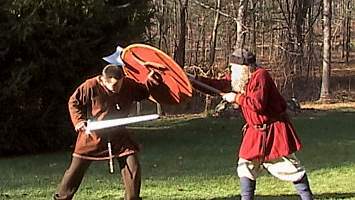 This DVD introduces you to the people of the Viking age: their society and culture, their sagas and weapons, and their mindset that guided their behavior not only in battle, but also in everyday life. 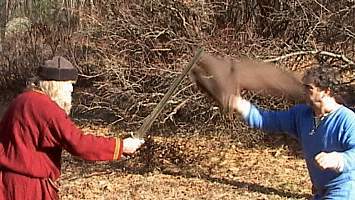 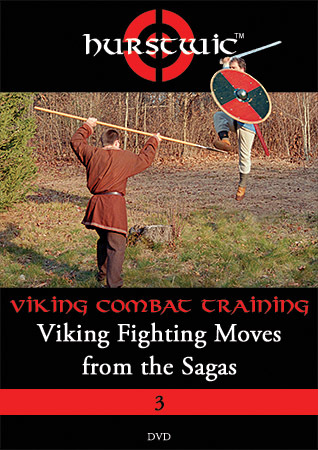 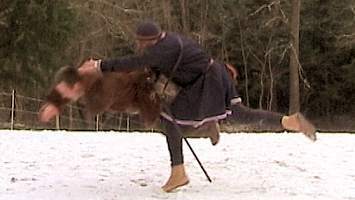 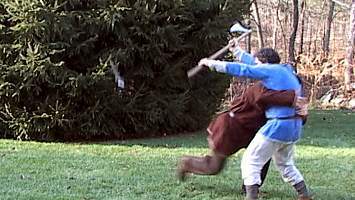 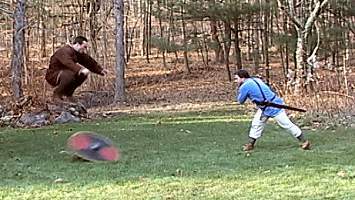 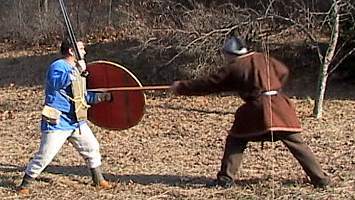 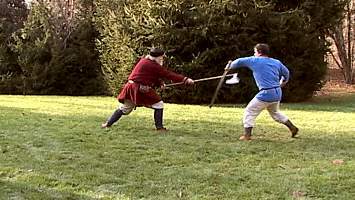 We have selected 19 Viking fighting moves and tactics described in the sagas. 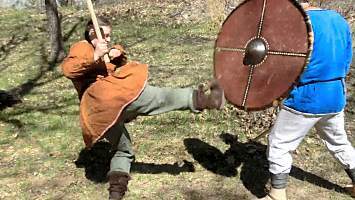 These represent the kinds of clever moves and tactics that distinguished Vikings from other fighters. 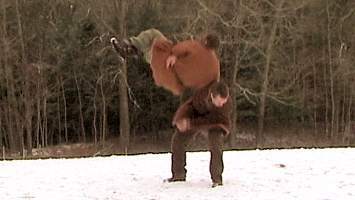 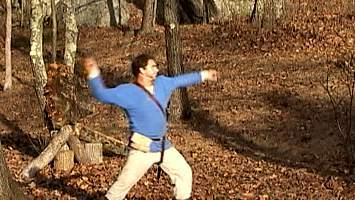 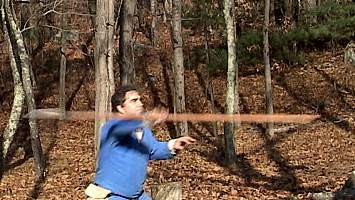 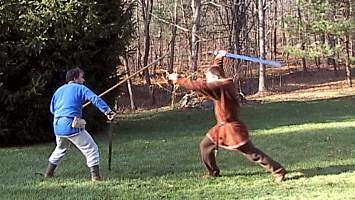 For each example, we tell the story from the saga where the move or tactic was used and demonstrate the move. 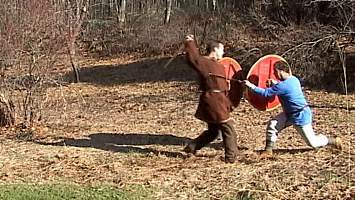 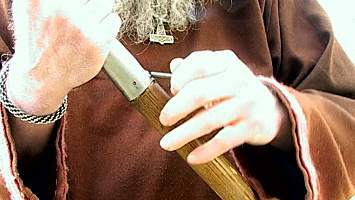 Whether your Viking raids aren't bringing in as much income as they once did, or you're fed up with being bullied by berserkers, we think you'll find material on this DVD to help you, and to learn more about the Viking-age people and their use of weapons. 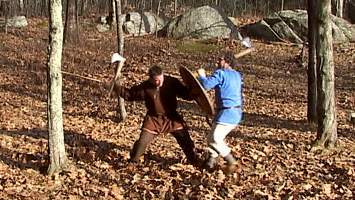 Use this DVD to step in to the mind and the world of the Norsemen.